This Cromlech is situated on Cilan-ucha[f] Farm, in the parish of Llanengan about three miles south of Abersoch. Like the majority of the others, it has fallen, and has only one support at the east end in situ. I was told by the tenant of the above farm, that she remembered it standing on its supports, but that they were afterwards removed for gateposts. 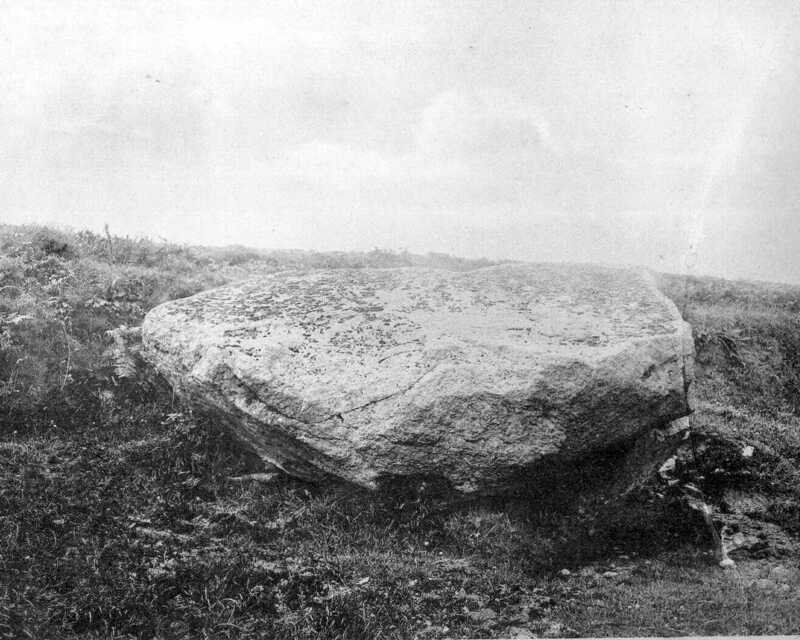 The capstone is ten feet four inches long, and averages from six to seven feet wide, and three to four feet thick. Its height from the ground at the east end is five feet. This is not recorded is Arch. Camb.